Microsoft has announced it will remove a number of Snapchat-style features from its Skype messenger service. 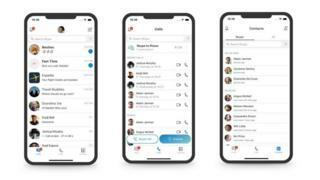 The software giant updated Skype in June 2017 but faced criticism from users who said it was "stupid" and the "worst ever update". Many of the updates simply "didn't resonate" with most users, it said. It will reduce the navigation options from five to three by removing the highlights and camera buttons. 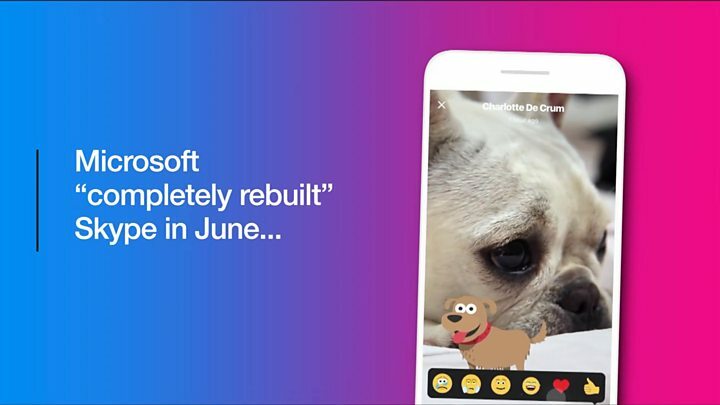 When it announced the June 2017 updates, Microsoft told the BBC: "We know this was a big change and we welcome feedback along the way. "We're confident that as we continue to listen to users and provide updates to the app... we'll be able to keep improving the experience." And now, Skype design director Peter Skillman has written in a blog: "This past year we explored some design changes and heard from customers that we overcomplicated some of our core scenarios." But now, Facebook's Messenger, Instagram and WhatsApp as well as Telegram and Snapchat all provide similar features, with many copying ideas from one another. Most noticeably, Messenger and Instagram incorporate the "stories" features from Snapchat.